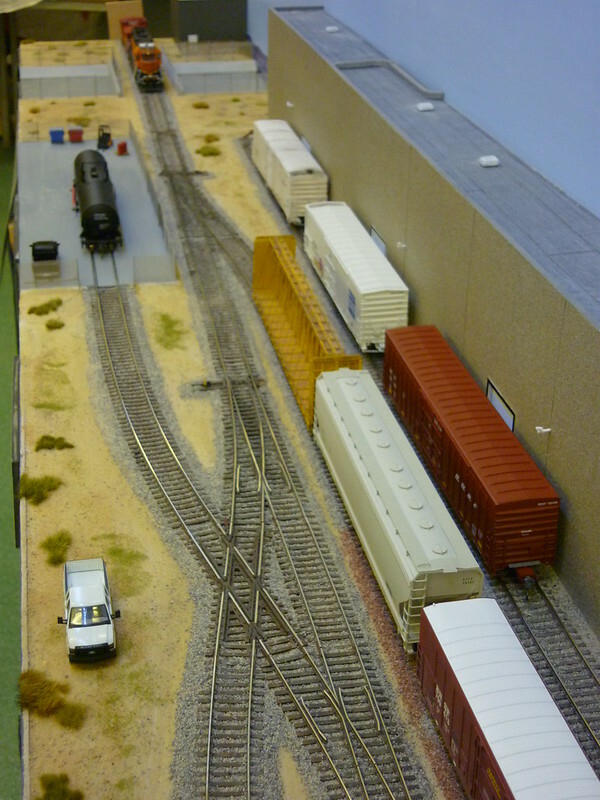 This is my new layout, Hacienda Avenue, which made it's debut at ROTArail show in Fareham in April 2014. Overall size is currently 10' x 13.5"
switcher1 wrote: Your first link keeps sending me to a Yahoo sign in page?! Looks like Yahoo wants you to start a Flicker account, which works because I just have done! My photos are on Photobucket at present, but most seem to use Flicker now. Dan did you use a separate piece for your track bed? On 11th Avenue I ran the top layer right across the street and cut out the bed to the track shape once laid. I'm hoping this will keep the board strong when I cut out the rear of the base board. I never did this as it was a single sided double track module, but now it is single track (it can still be a 12' double track module) it would look better if there was a view right under the bridges, like yours. 11th Avenue is made of 6mm ply with an 18mm x 18mm stiffener down each side. Lowering the side will cut through that stiffener, so I'll have to fit a lower one. The addition of some low relief backscenes cobbled together from some pics off the interweb as nothing commercially available fitted. Complete some SoCal specific locos so #2022 & 2049 can get back to Texas / Kansas! 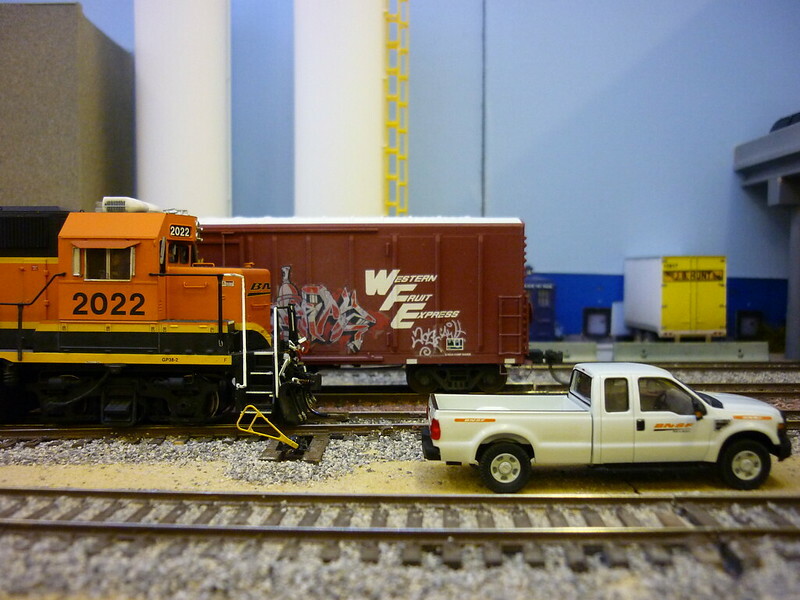 Thanks for those Links, I do like the earth powders and scatters , looking fairly good for a US railroad. Indeed ARM is better, but IMHO not worth the shipping charges... I do like the fact that the business continued though, as it was for sale not so long ago as the original owner was retiring. Been a while since I posted anything about the layout so here's a quick update. In the New Year I got a late notice request to bring the layout to the Eurotrack show in Eastleigh which went well and generared another short notice invite to bring the layout to the BRM show at Ally Pally a month later. This meant that the list of jobs generated from Eurotrack (mainly weathering stock) had to be be accelerated to hit the deadline for Ally Pally. 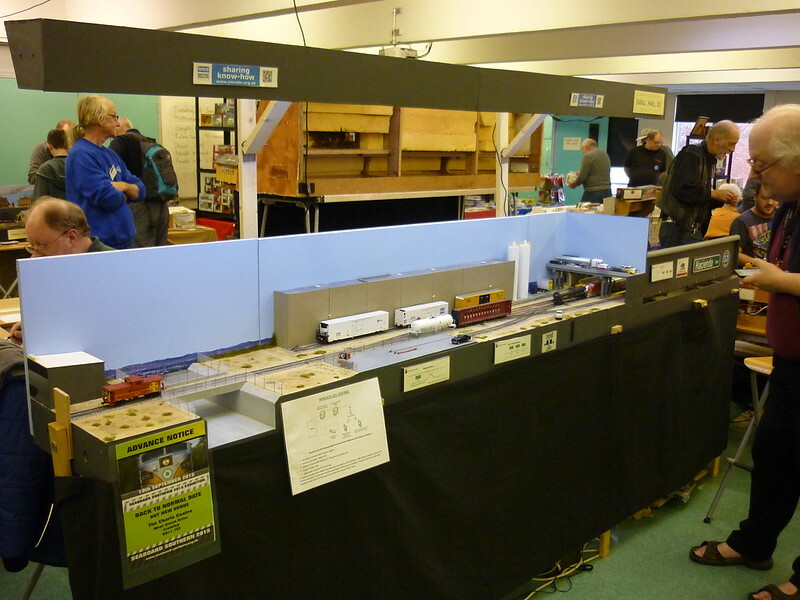 The show itself went off well despite an early start on Sat to negotiate the M25 and North Circular and a mad rush get the layout set up for the 09:30 advance ticket holders. As well as myself the Region display stand attended along with fellow Seaboarders Alan Crooks and Chris James' own layouts. Despite the usual crowd of "US layout, RUN!!!!!!" punters I did get a few enlightened souls who wanted to chat about US outline modelling along with show invites for Royston (prob 2016) and Uckfield later in the year in Oct.